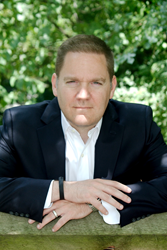 ENow Software is excited to announce Justin Harris as Chief Product and Innovation Officer. ENow Software, the leading provider of application performance and end user experience monitoring for Microsoft technologies announced Justin Harris as the new Chief Product and Innovation Officer. The creation of this new role highlights how product innovation and strategy is the driving force behind ENow Software’s growing success within the Microsoft technology stack. Harris is responsible for guiding product strategy to deliver on ambitious growth plans by expanding the scope of offerings to help customers drive operational efficiency and obtain unparalleled insight into end user behavior and experience. Harris joins ENow Software with over 22 years of experience within the Microsoft identity and collaboration stack and extensive experience in helping organizations shift to a cloud delivery model. Justin is one of a handful of technical professionals globally that have been recognized with the Microsoft MVP award for evangelism efforts and obtained the Microsoft Certified Master certification. Most recently, Harris served as Director of Innovation for Binary Tree where he spearheaded an award-winning Software-as-a-Service offering in response to the constant struggles organizations face when trying to minimize end-user impact during cross-tenant Office 365 projects. Previously, Harris held technical leadership positions at Verizon Business, AAA, ISC Motorsports, EA Sports and Legg Mason.